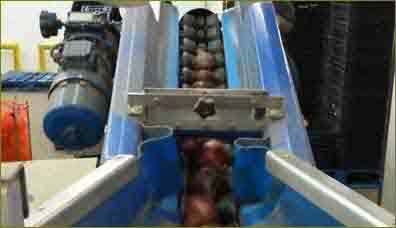 Clippers are packing machines, for packing onions and potatoes into small mesh or plastic bags. They can be semi-automated or fully automated. 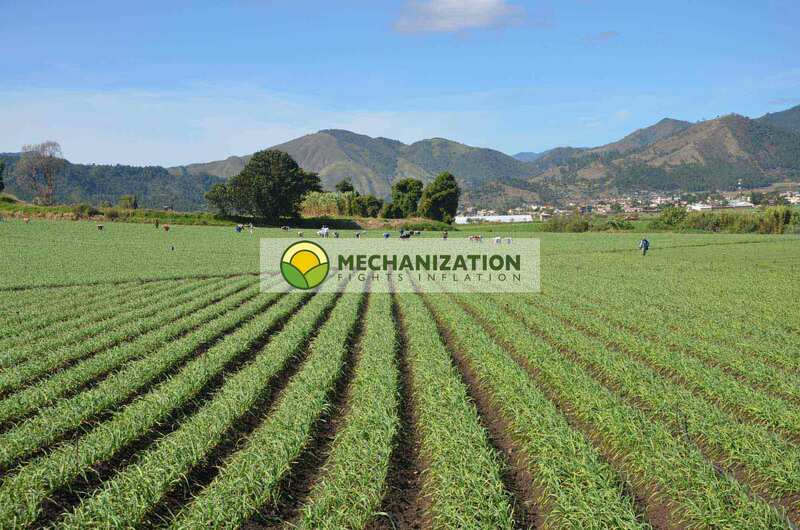 ''CLIPPERS'' are packing machines for packing small bags with the desired amount of produce. They create bags which can hold between 200 g and 2 kg of potatoes, onions and other vegetables. The mesh or net comes in the form of a tube, which is placed around the mouth of a funnel made from PVC or a similar material. The onions or potatoes enter the funnel and fall into the tube. Once the tube is filled with a batch of produce, it is cut (clipped) and sealed, and can be labelled at the same time. 1. A semi-automated line, for packing bags without weighing the produce. In this line, the produce is not weighed. Each bag is filled with a set amount of onions, potatoes or other produce. If the produce has already been graded by size, we can know the weight of each bag with a fair degree of accuracy, therefore eliminating the need for a multi-head weigher. In the photo to the right (scroll down on mobiles) you can see the clipper infeed. The (red) onions are lined up and drop one by one into the infeed tube, down into the bag. The operator in the photo below lets the required number of onions fall into the tube and then cuts it. Now that the bag is formed, the machine seals and labels it. Here is a video demonstration of this sizeable facility. 2. 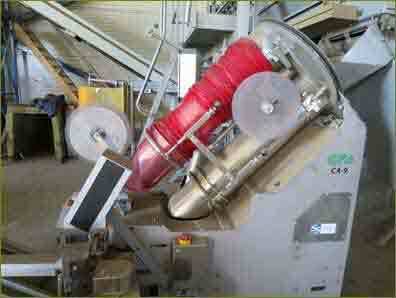 A fully automated line for packing small mesh bags, using a multi-head weigher. In this line, the produce is weighed using a multi-head weigher. The multi-head weigher is the only system which is precise enough to create batches with the right weight, combining some larger units into the batch to achieve the desired weight. If the produce is already well graded by weight and size, then a multi-head weigher is not necessary. The produce arrives from the storage facility, passes through an inspection table, and is elevated to the infeed of the multi-head weigher. The weigher forms the batches and transports the selected units to the funnel or filling tube. The packaging material is around the outside of the tube's mouth. 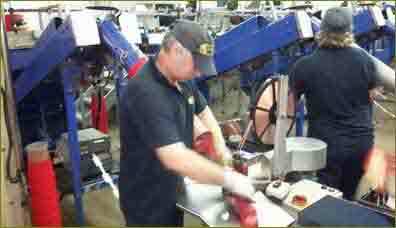 Once a batch is dropped off, the bag is formed and the machine cuts, seals and labels each one. Finally, the bags pass through a weight control, where the bags which are too light are removed. The rest of the bags arrive at a round table, where they are placed into boxes to go to market. 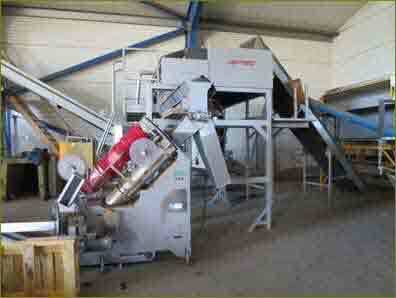 Fully automated clipper, with multi-head weigher system. The word clipper is used in this context to mean scissors, shears or cutter, something or someone who cuts. That is exactly what this machine does: it constantly clips a mesh tube or hose filled with produce, creating a closed net or bag. It cuts, seals and labels the bag.